How many of you are giving free ebooks as gifts to your friends and loved ones this holiday season? None of you, is the answer. That’s because with the price tag of “free”, they can get it themselves, so most likely you’ll purchase the book that they really want. 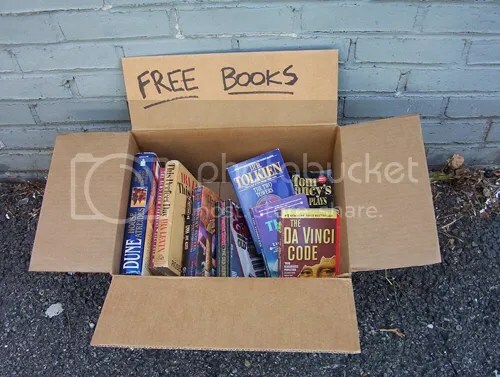 It seems that indie and self-published authors drop the price of their ebooks to “free” as a sales gimmick to gain readers and create a name for themselves. However, what happens in reality is that they just want as many downloads as possible so they can shoot up the ranks of the Top “Purchased” (and I use that word loosely) novel in their genre. But do the ends justify the means? In this case, no. No they don’t. I can understand how a new author that has no reputation and is trying to make a name for themselves could see that the price of $0.99 or Free make sense for their self-published ebooks. However, an author that sells 100,000 copies at $0.99 will only earn ~$12,000. Earlier, I described what the average income is for authors here, and contrary to popular belief, authors earn very little (especially the self-published ones). Here, take a look at CreateSpace’s (the popular self-publishing service provided by Amazon) royalty calculator here to see for yourself. So if you still think it’s possible to make some money by pricing your book cheap, how many authors do you think have actually sold over 100,000 copies in a year? Take a guess. A whopping 30. I think $0.99 would be a great promotional price, but doesn’t do anyone any good as a permanent price. Indie and self-published authors are focusing on the wrong thing. They believe that price is the important factor, when I say it is quality that counts. There is no doubt in my mind that when you have a quality product, readers will pay a higher price and will also become returning customers. Not only are many indie and self-published authors reducing the price of books, they are publishing books that don’t have the same level of quality that traditional published works have. I’m referring to editing, fact checking, etc. I’ve downloaded quite a few free ebooks myself, and I’ve come across a lot of novels that I stopped reading due to their need for a copy editor. I’m not exactly sure why, but perhaps some indie authors are just too excited to press “publish” that they don’t want to do another round of editing? My book has been “complete” (and I use that word loosely) for 8 months, and I’m still finding things that I want to edit or emphasize. So, do the ends justify the means? Let’s consider the super success stories of John Locke and Amanda Hocking, each selling over 1 million ebooks. They might be what keeps you motivated, and may be the proof that you’ll use to debunk my opinion, but if choosing the $0.99 price point was used to gain a following, a reputation, and an easy way to enter the market, then why do these mega-authors still keep their books at $0.99 today? Are they afraid they won’t sell if they raise the price? There is no doubt that the publishing industry is in flux and no one knows where it will land, but if more and more quality novels are self-published and sold for $0.99, then they are setting the expectation for the consumer and are therefor hurting the industry. If the market is expecting prices to be that low, then how are authors ever supposed to make a living selling books? Are we destined to always hold a day-job and write at night? Books are something that can take a year’s worth of our time to write (sometimes more), so we shouldn’t be selling them for $0.99. Our time is more valuable than that. Are Indie Authors Devaluing Books?